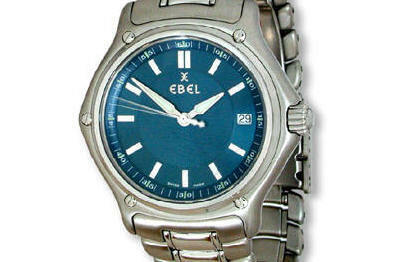 Pierre-Alain Ebel, grandson of the original founder, Eugene Ebel, has turned this declining company around. In 1972 his father threatened to liquidate he ailing 60 year old business in La Chaux-des-Fonds. Pierre bought out the business and the growth has been meteoritic. The Beluga range of watches is worn by many famous sportsman. Other watch ranges are the Sports and Discovery.